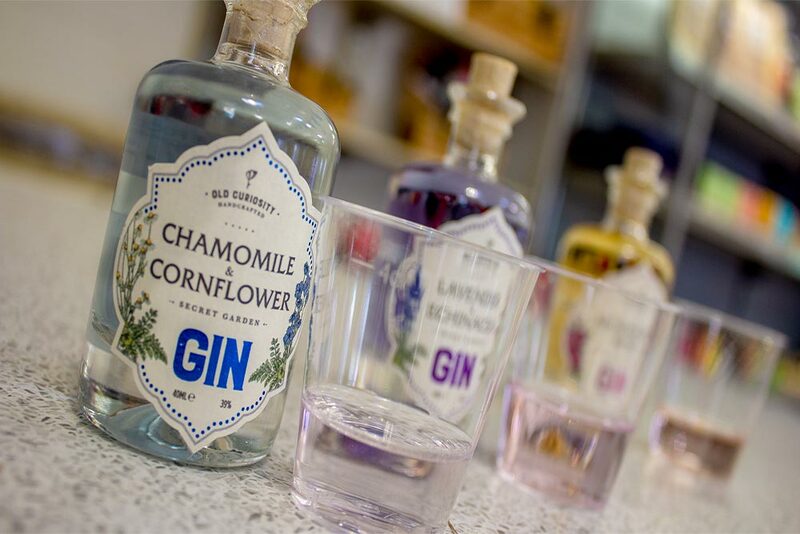 Whether you’re a self-confessed gin-lover or just want to be part of this increasingly popular trend, you’ll be pleased to know that Gretna Green now stock an impressive gin product range at our 5-Star Award-winning Foodhall, at Gretna Green Since 1754. 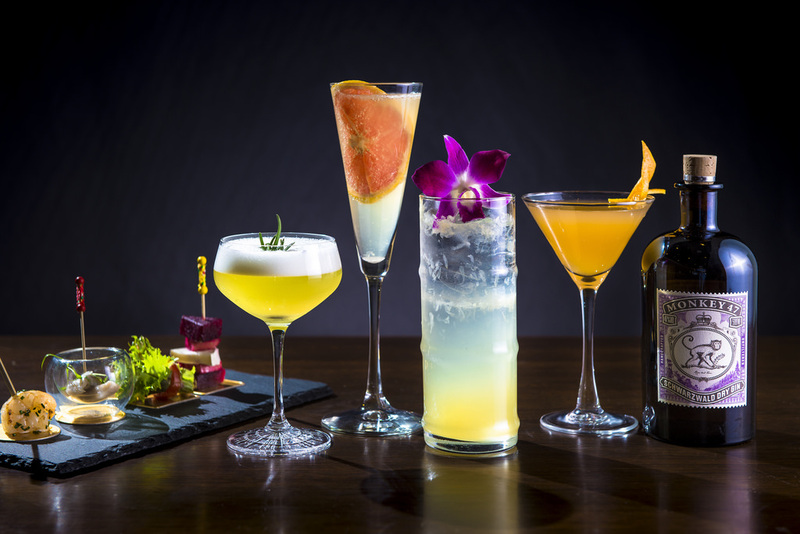 Gin is an extremely versatile choice of drink, allowing drinkers to mix-up the flavours, colours, garnishes and even glasses! It is also a refreshing option with many gin lovers enjoying the drink over ice during the summer months and in more warming cocktails or the classic G&T in the cooler ones. More than 70% of gin consumed in the UK is produced in Scotland. For this new gin collection, we’ve sourced the finest gins from Scottish distilleries and to celebrate the launch of the new #ginspired range we’ve decided to give you a wee introduction to some of our favourite Scottish gins. If you’re looking for the perfect autumn tipple, we hope we’ll provide you with plenty of Ginspiration! Plum and vanilla, rhubarb and ginger, elderflower, or pomegranate and rose, they 'gins' are actually Gin Liqueurs, but make a perfect dash in a glass of fizz or cocktail, or as normal with tonic. It’s difficult to choose a favourite, but you don’t necessarily have to with an Edinburgh Gins gift box of miniatures. 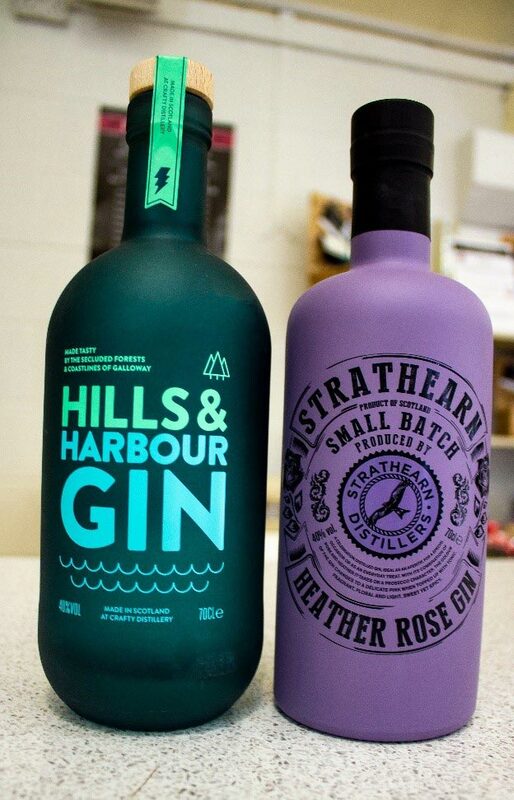 This gin is produced in Galloway and is the closest gin distillery in distance to Gretna Green. This gin, is also available from our bar at our Gretna Hall hotel, if you fancy a taste before you buy it in the Gretna Green Foodhall! We are excited to announce that we now stock Old Curiosity Secret Garden gins. 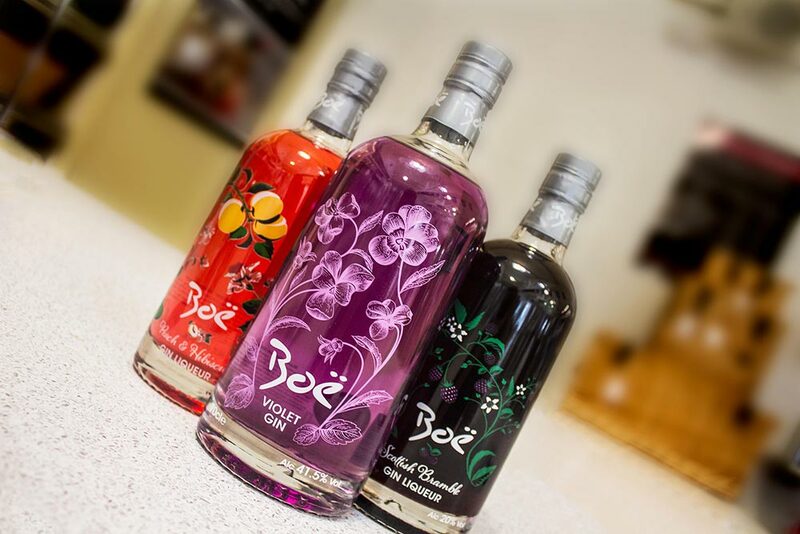 These natural gins not only taste lovely but also magically change colour when tonic is added. And, they are by far, our favourite packaging! Did someone say potions? 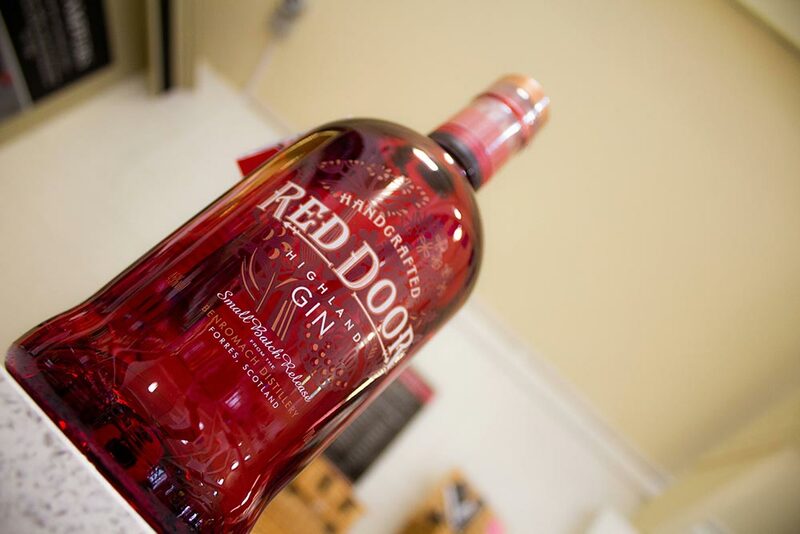 Launched 4th July 2018 by family-owned Benromach Distillery, Red Door Gin is named after the distinctive red doors of the distillery. Inspired by the Scottish’s mountains, forests and coastal fringes, this gin delivers signature flavours of juniper and a defining citrus note of bitter orange, with an aromatic sea buckthorn, floral pearls of heather and chocolatey rowanberries. "The Subtleties of Boe Scottish Gin are all the selection and preparation of its botanicals – that fine balance of herbs and spices so crucial to its distinctive taste and quality." I'm not too sure about this gin-thing yet? Not a gin lover just yet but want to see what the fuss is all about? Be part of the trend by trying some of our ginspired products. You can sample our gins with a Gin Tasting Experience at Gretna Green from as little as $7.80 per person, in our Whisky & Gifts Shop. 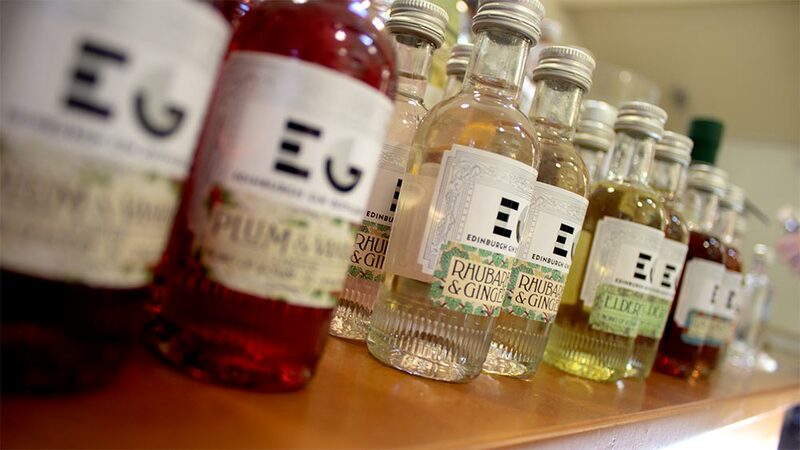 Or, why not visit our Gretna Green Since 1754 Foodhall, where there are alcohol and food tastings daily AND you can purchase many of the varieties in sample-size bottles to try at home!